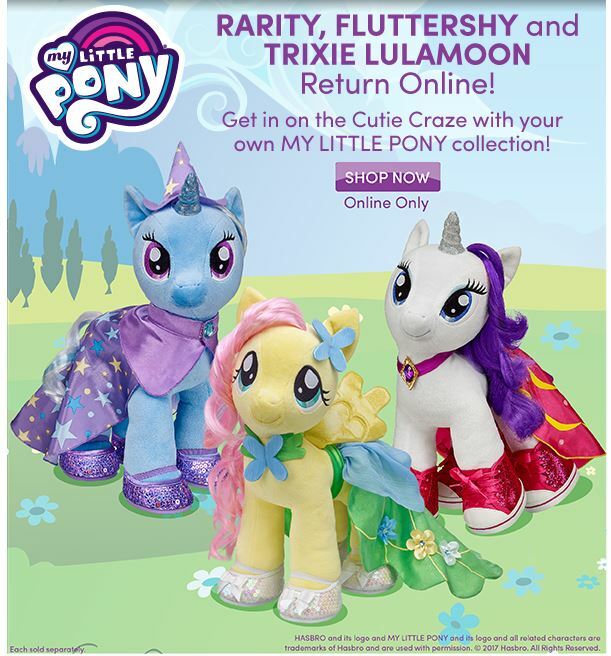 Build-a-Bear US has sent an e-mail to their subscribers about a big restock in their online store: Trixie, Fluttershy and Rarity are once again available, including their accessories. 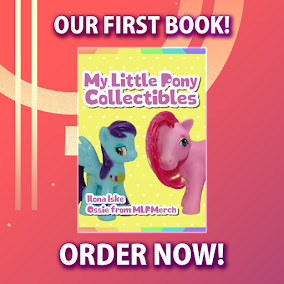 On the My Little Pony brand page of the online BaB store you can find all available ponies and accessories. The e-mail states that this is "Online Only", so don't expect these to appear in stores. Thanks to Mindy & PixelTrix TV for the info! Hopefully I manage to get Rarity & Fluttersy! Than I'll only need AJ, Zecora, & Shining Armor! The only prob no soundboard for Fluttershy or Rarity.